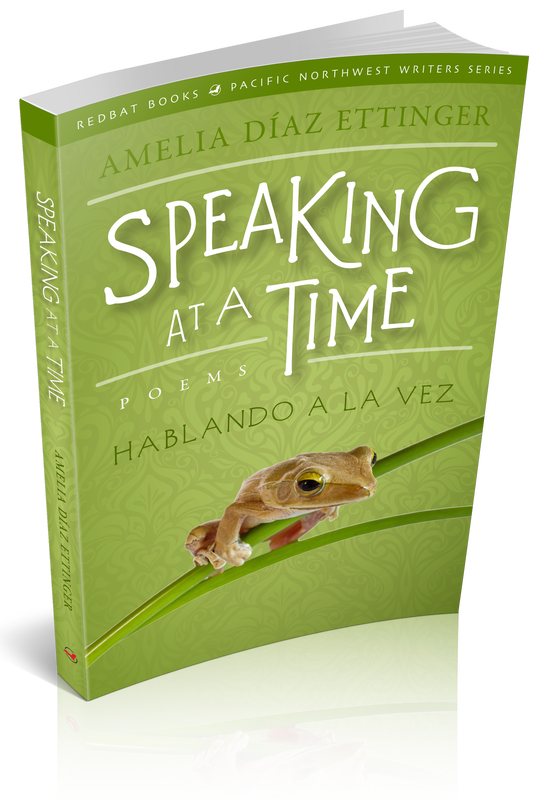 debut book of English and Spanish poetry. Born in Mexico and raised in Puerto Rico, Amelia Díaz Ettinger has written poems that reflect the struggle with identity often found in immigrants. She began writing poetry at age three by dictating her poems out loud to her uncles who wrote them down for her. Amelia continued writing poems and short stories throughout her life. Her writing took a back seat while she raised two wonderful human beings and worked as a high school teacher. Now retired, she has renewed her writing with fervor. 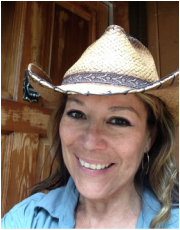 She currently resides in Summerville, Oregon with her husband Chip, her dog Pi, and seven unnamed chickens.